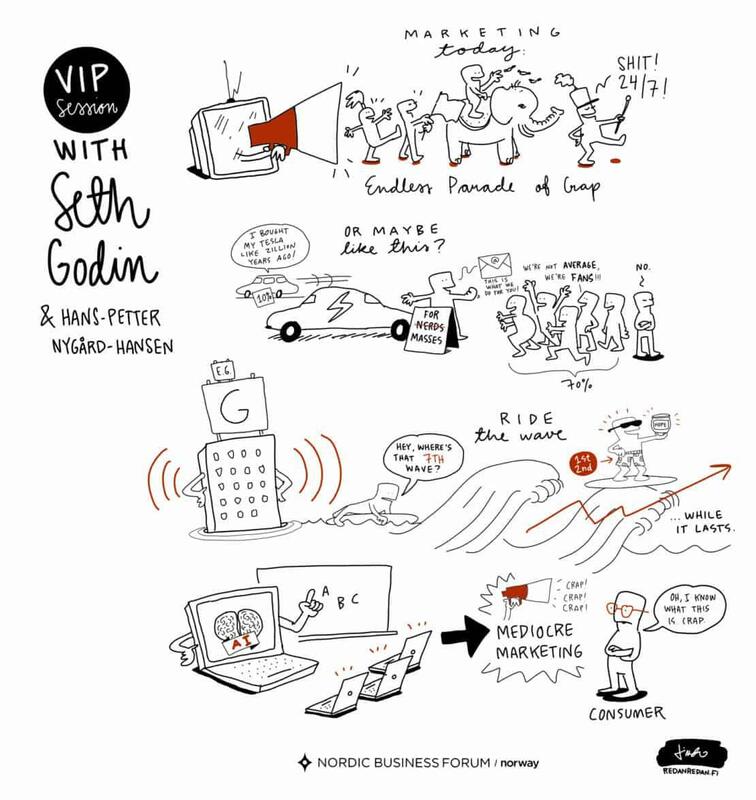 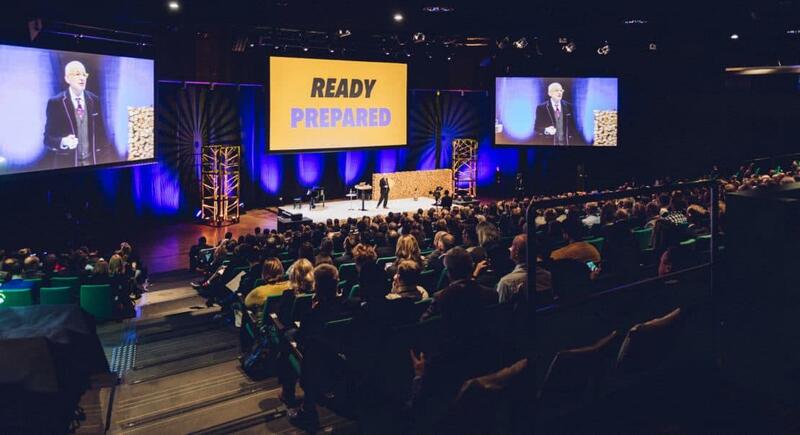 Sketchnotes from speaker Seth Godin’s presentation at NBFNorway. 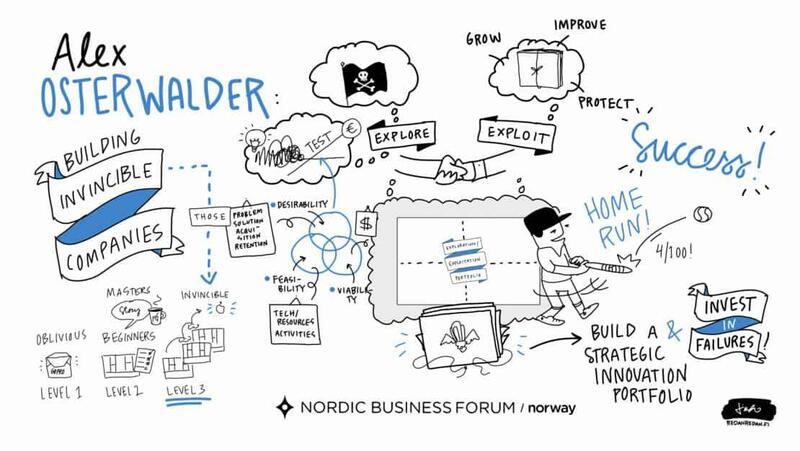 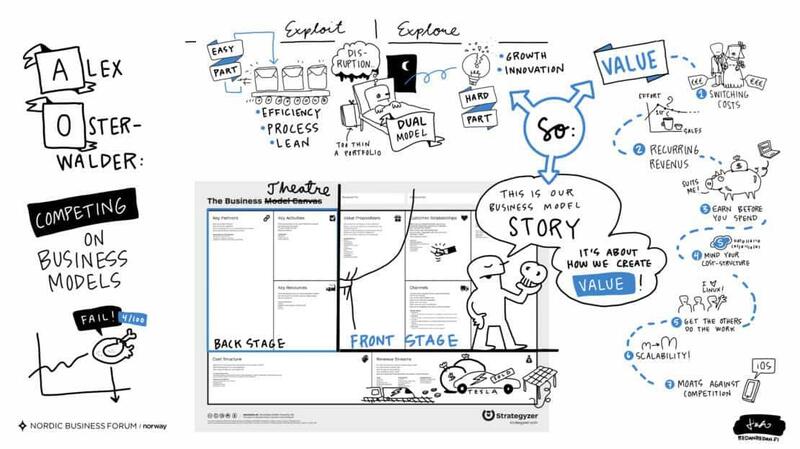 Sketchnotes from speaker Alex Osterwalder’s presentation at NBFNorway. 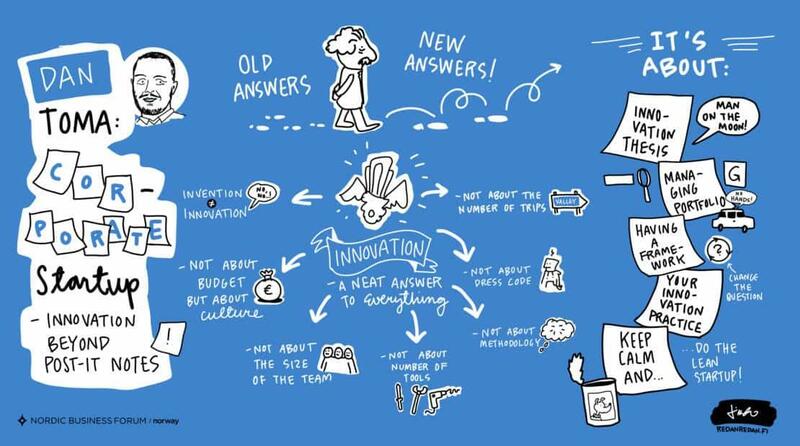 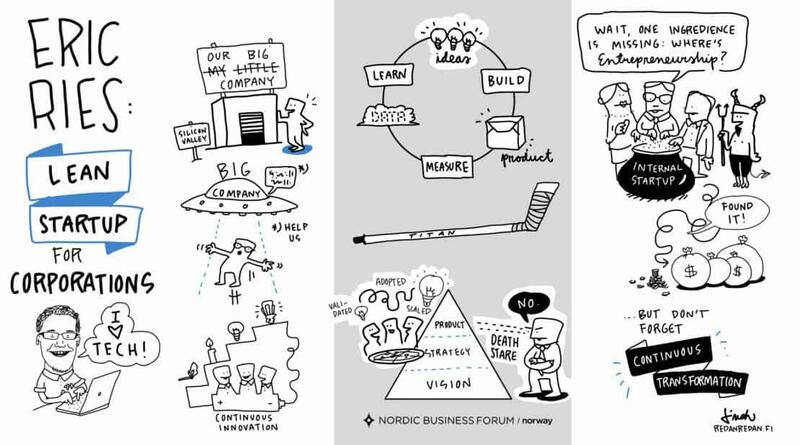 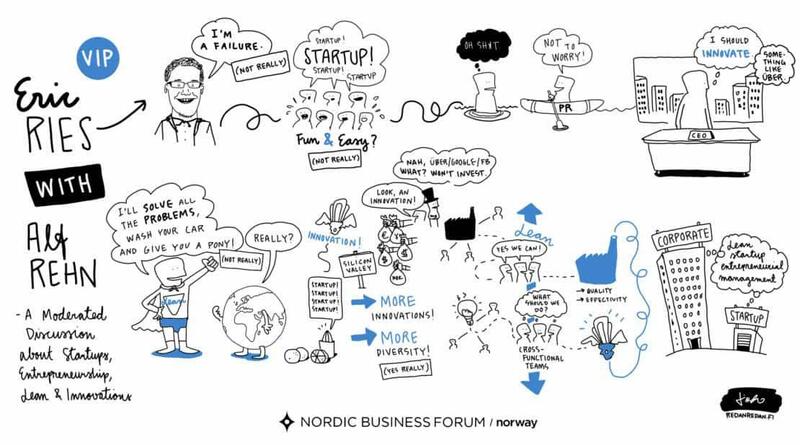 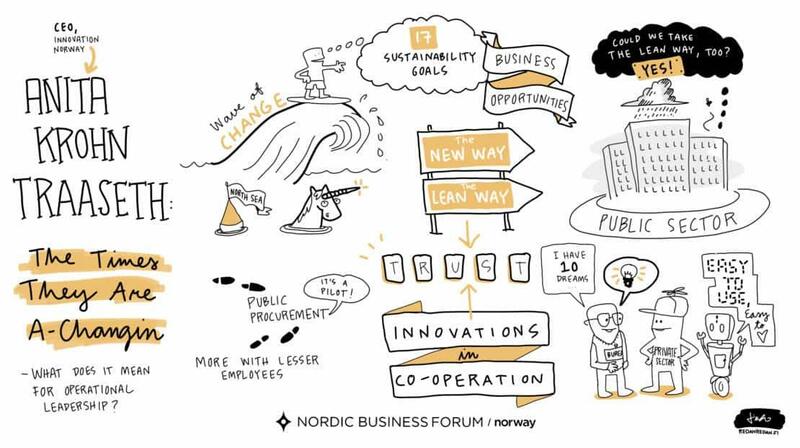 Sketchnotes from speaker Anita Krohn Traaseth’s presentation at NBFNorway. 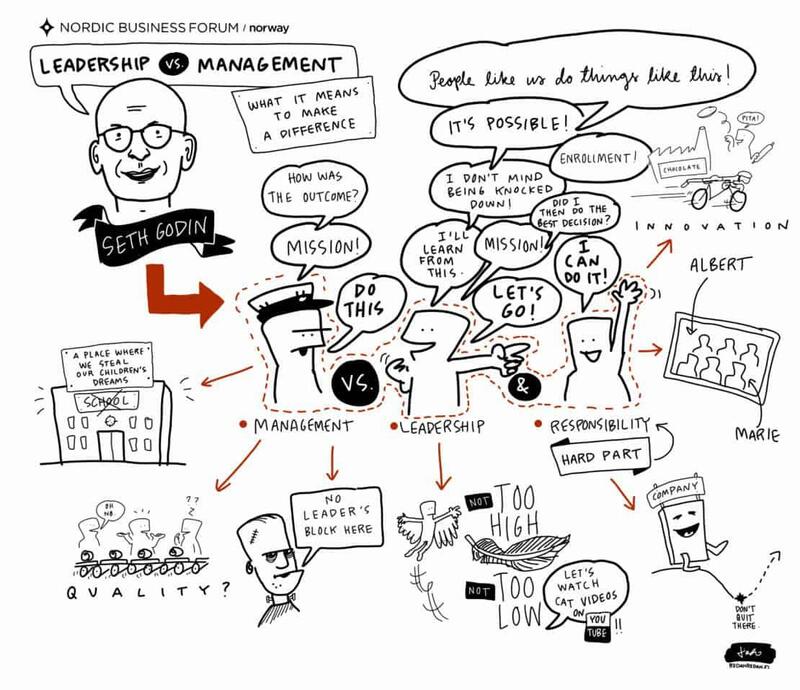 Sketchnotes from the moderated session with Eric Ries at NBFNorway 2018.